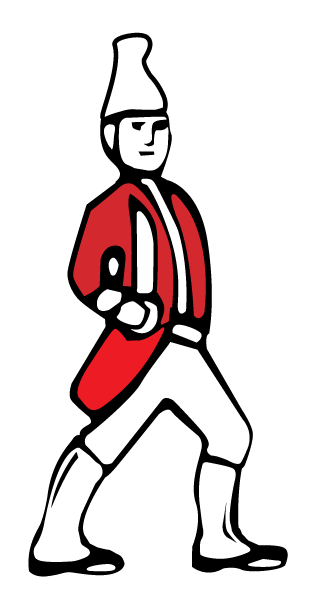 With a unique logo like our Hessian Soldier, a common question customers have asked repeatedly over the years is "What's its origin?" The Hessian Soldier logo is symbolic of an important time in history. The best-known pattern of early 19th century cast andirons is that of Hessian Soldiers. Believed to be inspired by the dislike of mercenary troops brought here by the British in the American Revolution, they were being burned in effigy. The Hessian Soldier Andiron logo was adopted because of the history to our country and our company. The pattern Plattco originally used to make these Andirons was an original pattern from 1776. When Plattco acquired and used it, the pattern was already 100 years old! Plattco was - and still is - a modern business with great respect for high quality artisans who came before. Plattco used the pattern to manufacture the Andirons, which antique lovers still collect, and honored its history by using the Hessian Soldier as our logo. Plattco embraced the Hessian logo not out of a love of Hessians (we don’t – they were mercenaries that fought against us) but out of a love for the quality products we were able to create and export worldwide, which was quite a feat two centuries ago! Many of these artisans, men like Frances H. Jackson of Boston, who founded the Sisco blast furnace in Westport, NY in 1846, came to the new iron deposits from eastern Massachusetts. It’s believed this is how the patterns for the Hessian Soldier and the Concord grate found their way to the Cedar Point Foundry of Port Henry, NY, when it was built in 1879. After a fire in 1890, the assets - most of which were casting patterns - were purchased and brought to the Plattsburgh Foundry founded the same year and still in operation in Plattsburgh, NY. The soldier has remained our logo for over 120 years as Hessian Soldier Andirons were one of the first products ever cast here in our foundry – the campus we reside on today for our manufacturing, engineering and sales operations. Customers were so impressed with the quality and attention to detail of our castings, they began coming to us to cast other items. At the time, casting was a reliable method to make long-lasting products used in homes, farms, or workplaces. Since 1897 we have continued to cast high-quality items for our customers including double flap airlocks, slide gates, custom castings and occasionally the replicas of the original fireplace andirons. Today, over 200 years since the original pattern was created, we manufacture modern products for customers in businesses not yet dreamed of in 1776 or 1897. We are an American company in a global marketplace. We are proud that our logo honors our history, honors American craftsmanship, and honors our American identity with a pattern almost as old as the country itself.